Do you know what you're wearing to Thanksgiving dinner yet? If you're like me, you'll probably wait until the morning of to decide what to wear. So I put together some easy, last-minute ideas for you. Can you guess which outfit I'm most likely to be seen in? Just grab your favorite pair of jeans, a cozy sweater and trusty ankle boots. My jeans are a couple years old from ShoeDazzle. 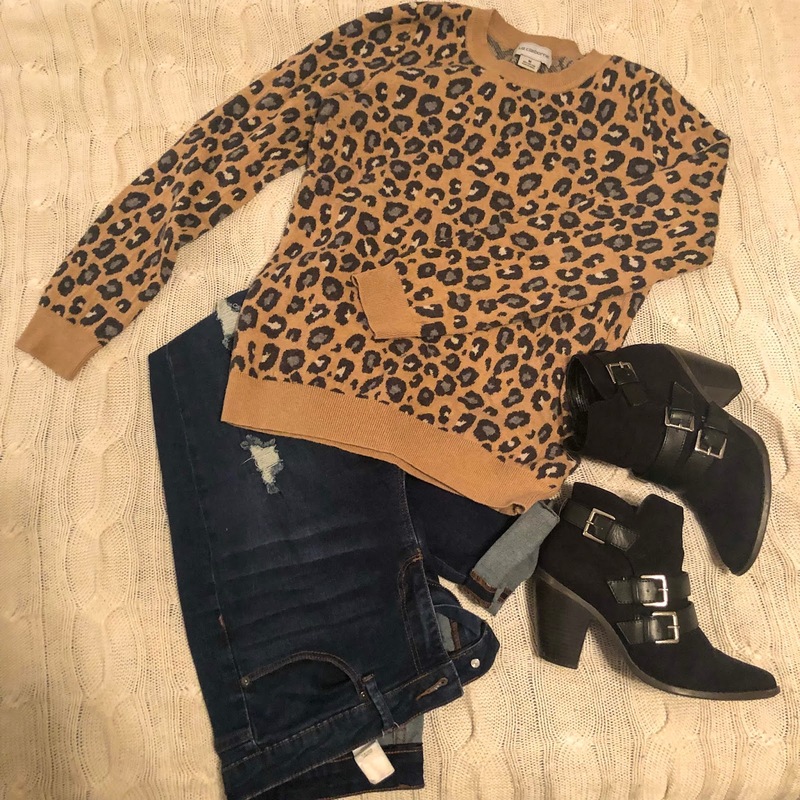 My sweater is from last winter but this one from Gap is very similar and on sale right now. My boots are three years old and no longer available, but check out these triple buckle booties from Target. Keep it understated but classy in black jeans, a printed statement top, and chic flats. My top and shoes are both from last year. 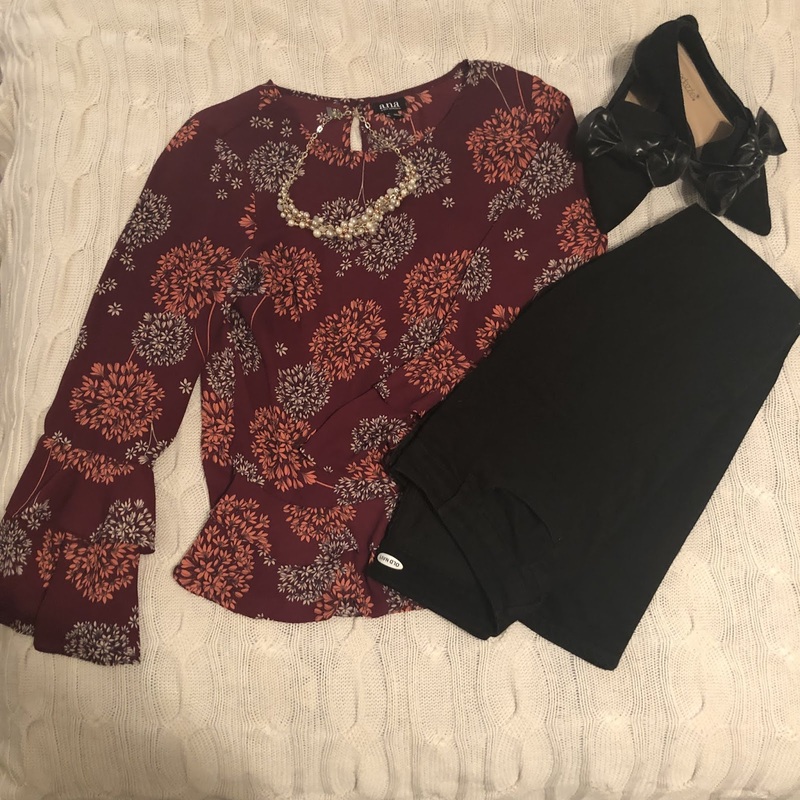 I really like these flats with the pearl embellished heel, and you can't go wrong with this plaid bell sleeve top or this tie front top. Does your family go all out for Thanksgiving? A silk shirt in a bold color paired with a tulle skirt and classic heels is perfect. My skirt is under $30 regular priced at Cato and has a stretchy waistband perfect for hiding that second helping of dressing. My blouse is from last year but I can definitely see this bright red top with this skirt as well. I picked these Jessica Simpson pumps off a Dillard's sales rack over the summer but she has so many good ones to choose from this season, many of which are on sale.